You're a product manager. A good one. You know how to listen. You can understand customer needs in your sleep. You can juggle a dozen cross-functional teams, speak their lingo, and get them to deliver low-cost solutions in a heartbeat. To boot, you've got enough skills and achievements to make Hunter Walk blush. How do you cram it all into a professional product manager resume? How can a resume for a product manager translate to more interviews? Your resume may be the most important product you manage. A product manager resume example better than 9 out of 10 other resumes. How to write a product manager resume that lands more interviews. Tips and examples of how to put skills and achievements on a product manager resume. How to describe your experience on a resume for a product manager to get any job you want. 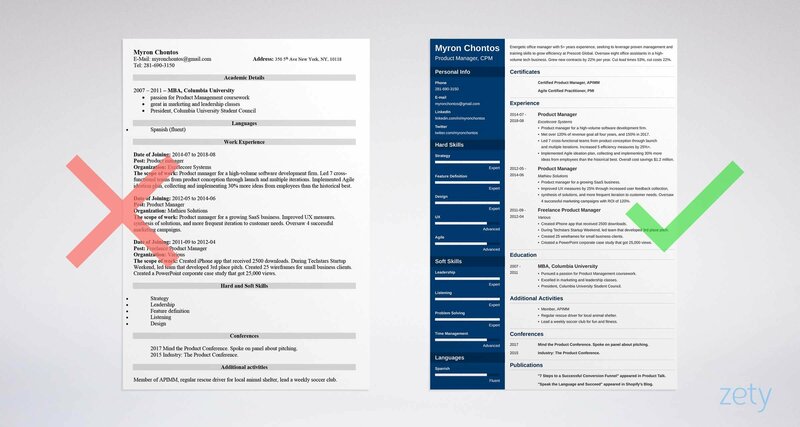 Here's a sample resume for a product manager made using our resume builder. Product Manager Resume Example - See 20+ resume templates and create your resume here. What's the Best Format for a Product Manager Resume? Product managers make it happen. So, make it happen in your resume. Show your best achievements that match the job offer. Make it easy for the hiring manager to find your value. Create better presentation than a Volkswagen ad. That all starts with the reverse-chronological layout. It's the best product manager resume format. It shows your most recent work first. That's crucial in a field where yesterday's product is as passe as big hair and AM radio. You’ve got the experience, and this resume format will highlight it like a pro shelfie. Use white space, legible fonts, and big headings to keep your message clean and clear. Finally, should you save your resume in PDF or Word? The old advice to avoid PDFs is out. Modern PDFs are machine readable. When in doubt, save as PDF and MS Word .doc. Pro Tip: Some job offers deny service to product manager resume PDFs. Read the description carefully to make sure they aren't outlawed. Your product manager resume should overflow with projects. That doesn't mean you need to drown the CEO in an ocean of words. Toss her a lifeline in the shape of a resume summary or a resume objective. A resume summary sums up catalogues of experience. Use it if you're an old hand. A resume objective shows your passion instead. Use one if your experience is on the lean side. Either way, cram it with enough achievements to impress Diana Kimball. These two product management resume examples show how. Which of these director of product management resume examples would you rather use? Experienced product manager seeking new position with great company. Take-charge attitude. Highly skilled in product development, design, leading cross-functional teams, and product iteration. That's not terrible, but it won't land interviews. Highly capable product manager with 6+ years experience, seeking to leverage proven leadership and strategy skills to grow revenue at Eskelund Global. 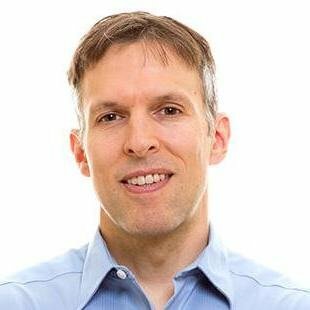 Met 150% of revenue goal in fast-paced tech firm. Led 7 cross-functional teams to 25% efficiency improvement and $1.2M cost savings. That's better than a fresh pack of sharpies. Is your experience more like an unfinished wireframe? If so, see the entry-level product manager resume examples below. Still a junior product manager with no experience? Junior product manager seeking entry-level position. No real-world experience yet, but I'm highly skilled in all areas of product design, development, and launch. That's as empty as a Venn diagram of easy MBA degrees. Energetic product manager seeking to increase revenue at Osborne Regional Design. Have created 3 mobile apps with a total of 75,000 downloads. Developed 15 wireframes for small businesses and took 3rd place in a Techstars Startup Weekend. Pow. You just proved yourself. The best part is, it didn't take five years to do it. I'll share tips to get quick product manager experience next. Pro Tip: Just starting out? Consider working for a lesser company. Listen to customers, create solutions, and pass them to management. Then try for a promotion to product manager. The CEO of that great company wants to know one thing: Can you deliver? That comes down to how you show experience on a product manager resume. Tie it to the job description like a conversion funnel to a product launch. Add 3-5 bullet points crammed with related achievements. The product management resume examples below show how it's done. Product manager for a high-volume software development firm. Met over 120% of revenue goal all four years, and 150% in 2017. Led 7 cross-functional teams from product conception through launch and multiple iterations. Increased 5 efficiency measures by 25%+. Implemented Agile ideation plan, collecting and implementing 30% more ideas from employees than the historical best. Overall cost savings of $1.2 million. The CEO just dropped her copy of The Lean Startup. Your first-rate resume for a product manager just knocked her off her feet. Responsible for meeting all revenue goals. Led 7 cross-functional teams from product conception through launch. Implemented Agile ideation plan, collecting and implementing employee ideas. All talk and no achievements. Like a daily scrum with no 3-question agenda. You need accomplishments to get CEO to notice you. Don't have experience? Let the next two digital product manager resume examples show you what to do. The good news is, it's easy to get product management resume experience. Just take on some side jobs. Volunteer to help a small business or a nonprofit. Make a PowerPoint case study. Research an existing product and suggest improvements. Participate in a startup weekend. You can also list related experience in non-product manager jobs. For instance, maybe you were a support rep. You listened to customers and passed solutions to the design team. You can list that on a resume for a product manager. Watch how this can work in two entry-level product manager resume examples. Product Manager Experience: No real-world experience as yet. That's not much better than a "website coming soon" page. Created iPhone app that received 2500 downloads. During Techstars Startup Weekend, led team that developed 3rd place pitch. Created a PowerPoint corporate case study that got 25,000 views. As customer support rep for LaCount & Hill International, took requirements from customers and passed 7 implemented solutions to development team. Now you're up in the Steve Blank zone. You may already have what it takes to write a product management resume like that. The real key? Tie your resume to the job description. To do that, ask yourself, what is product management? What does a product manager do? The answers will inform your resume. Pro Tip: Ever done a startup weekend? It's like a small-scale Shark Tank that anyone can do. Collaborate and create a product in just 54 hours. Looks fantastic on a junior technical product manager resume. You must show education on a resume for a product manager. But don't just list it. That's like having five cross-functional teams, then using them to make your coffee. But add achievements that fit you to the job like an Armani suit. These two sample product manager resume sections are for a job that values marketing and leadership. Pursued a passion for Product Management coursework. Received a 4.0 GPA across all marketing classes. Excelled in marketing and leadership classes. President, Columbia University Student Council. That's not a product management student. It's a proto Alistair Croll. But what about the next of our digital product manager resume examples? That's like Betamax and the Ford Edsel combined. But put back the details, and you're in the Brent Tworetzky zone. Don't have great education accomplishments? Consider taking an online class through product school. Looks great on a product management resume. Pro Tip: The WSJ calls product management an MBA grad's dream job. That said, you don't need an MBA to write a great product manager resume. Experience and proven skill matter more than a degree. Let's peek in on the CEO. She's looking through a stack of 200+ product manager resumes. On one, she sees a list of 50 skills. It's not how many skills you list. It's whether they match what's listed in the job offer. It's also whether you can prove them. Let's look at two divergent product management resume examples. Both are for a job that values product launch, UX, and marketing. Well, you're skilled in everything. So is everybody else. But now let's pick just the few skills listed in the product manager job description. We'll add a couple so we're not just pandering. Product manager for a growing SaaS business. Improved UX measures by 25% through increased user feedback collection, synthesis of solutions, and more frequent iteration to customer needs. Launched 3 new products in two years, for total 22% revenue gain. Oversaw 4 successful marketing campaigns with ROI of 120%. That's not just a resume skills list. That's personal branding. Use the skills below to give your product manager resume a head-start. You can use this product management resume skills list to get started. It doubles as a great list of product manager resume keywords to boot. Find more in relevant product manager job descriptions online. By following the steps above, any resume for a product manager can look like Steve Case wrote it. Does an AIPMM certification look good on a resume for a product manager? If you're entry-level, you bet your PowerPoint skills it does. So, don't just add it as an afterthought. Put it right after your name in the resume header. Add it to your summary. Last, put it in a special section just above "Experience." That way, no matter where the hiring manager glances first, he'll know you're qualified. Notice we've added an Agile certification. There's more to valuable product management certifications than just a CPM. The most important thing about certifications on a resume for product management? Make sure they fit the job description. Pro Tip: You don't need a CPM or ACP to land great product manager jobs. Those certificates show a base level of competence. You can prove that with experience too. The product management field is extremely competitive. Most product managers have lots of experience and an MBA. How can you stand out like the Nike Air Jordan launch? Add non-work achievements to special extra sections in your product manager resume. 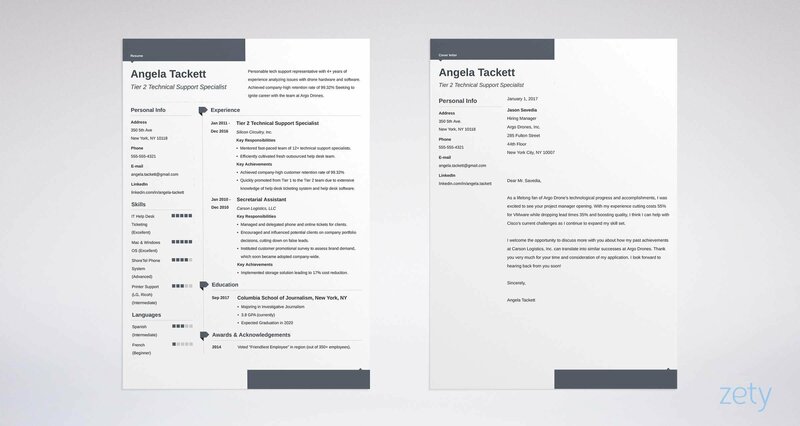 Watch how to do it right (and wrong) in two product management resume examples. Not to cast aspersions at Donna Summers and competitive sports. But you'll get more interviews if you stick to things that prove product manager muscle. Regular rescue driver for local animal shelter. Lead a weekly soccer club for fun and fitness. 2017 Mind the Product Conference. Spoke on panel about pitching. 2015 Industry: The Product Conference. "7 Steps to a Successful Conversion Funnel" appeared in Product Talk. "Speak the Language and Succeed" appeared in Shopify's Blog. That's a real "CEO of product." Any of those items shows you're not just punching a time card. But with a little effort, anyone can have a product manager resume like that. Pro Tip: If you're a new product manager, get on Medium, Quora, and Reddit. You'll learn the lingo. You'll also get inspiration for achievements for your project owner resume. How About a Cover Letter for a Product Manager? Why do so many experts say, "Don't write a cover letter for a product manager resume?" Because so many cover letters are generic. Don't write a "Here's my resume" type cover letter. First, use the hiring manager's name. Next, show you understand her need. Then, show evidence that you can fill it. I've been a huge fan of Eskelund Global's products for years (SkaleSkale, Wornable, TrimTram). That's why I'm so excited about your product manager opening. I know you put customer needs first. I believe my proven skill at listening to clients puts me at a distinct advantage. It's why I was able to meet 150% of my revenue goals at Excelecore Systems. Close it with a call to action. "Can we set up a time to talk about growing Eskelund's revenue by 20% in the next 6 months?" works great. Pro Tip: Join some online communities for product managers. You'll boost your product manager resume skills. Here are some great suggestions from Bryan McCarty, Kevin Lee, and more. But also add two other critical bits of contact info. The first is a solid LinkedIn profile. Nowadays, 87% of recruiters hire from LinkedIn. The second? A profile website. An online product manager profile can give the CEO a chance to get to know your work. Stuff it with all the projects and achievements you can't fit in your resume. Pro Tip: Max out your LinkedIn profile's product management resume keywords. Find out how (plus 11 other hacks) in our LinkedIn profile secrets guide. Emphasize achievements. That means products you've launched and metrics you've improved. Tie your product management resume to the job offer like a wireframe to a website. List achievements that fit what's listed in the job description. Add "other" sections to show your product manager skills run deep. Those can include conferences, publications, or volunteer work. Do you have questions on how to write a great resume for a product manager? Not sure how to describe your skills or achievements? Give us a shout in the comments! We love to help! See a job-winning sales manager resume sample. Get sales manager resume objective, job description, and skills examples. Land more interviews! A guide to writing a perfect marketing manager resume. 20+ actionable examples and expert tips you can use today. Use our marketing manager resume template and sample. Read more!